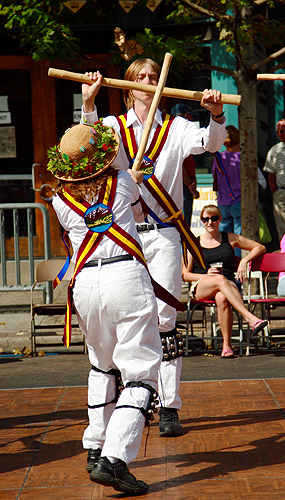 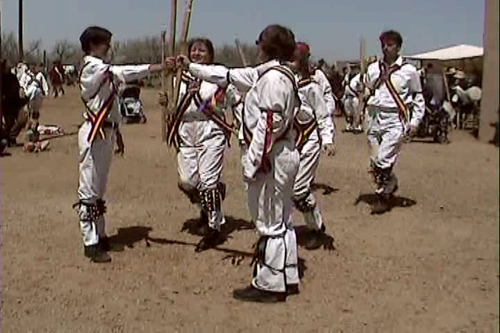 The Maroon Bells Morris Dancers were founded in the spring of 1982 by Sallie Sprague and Martha Wild. 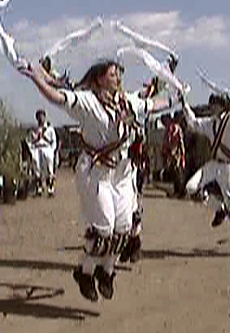 At that time most of the members were CU staff or students. 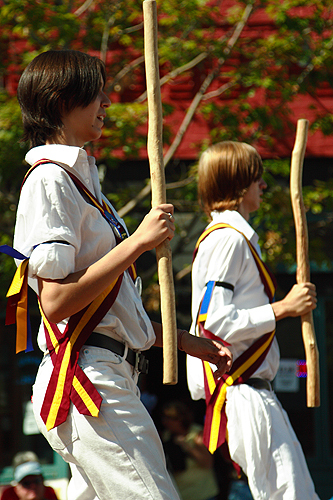 Today the membership ranges from high school students to physicists to engineers and range in age from teens to um, older than that (although, in truth, most act like teenagers). 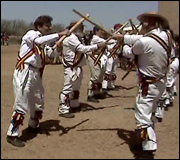 In the beginning, practices were held in a cement-floored room (hard on the legs!) 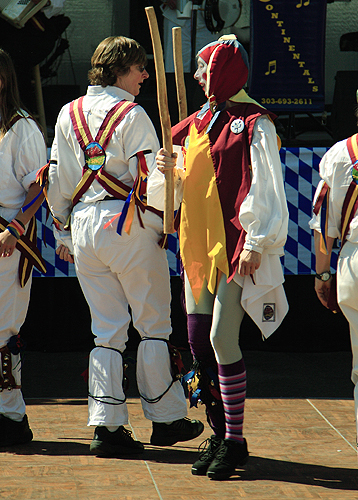 in the CU stadium. 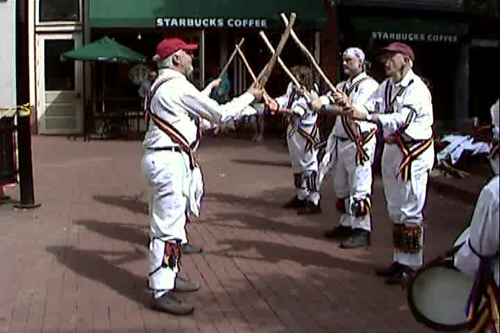 Today, the group meets in a dance studio with a nice wood floor. 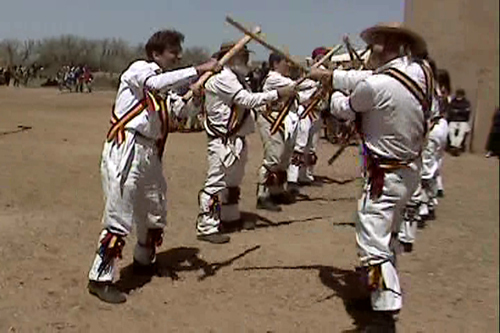 The Maroon Bells Morris Dancers have performed widely since 1982. 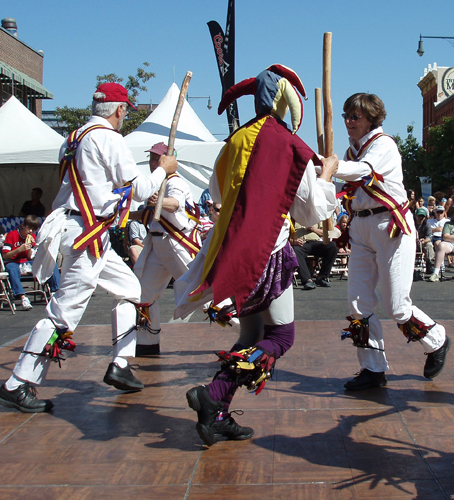 Venues have included the Fort Collins Irish Festival, Colorado Medieval Festival, Winter Solabration, Festival at the Fort, European Festival, Larimer Square Oktoberfest, Harlequins Gardens, Hyland Hills Oktoberfest, Longs Peak Highland Games, Colorado Renaissance Festival and tours of England in 1989 and 2000. 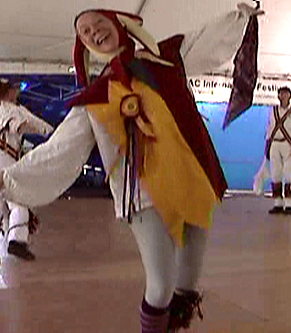 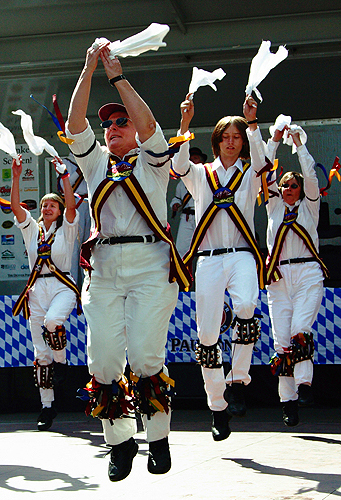 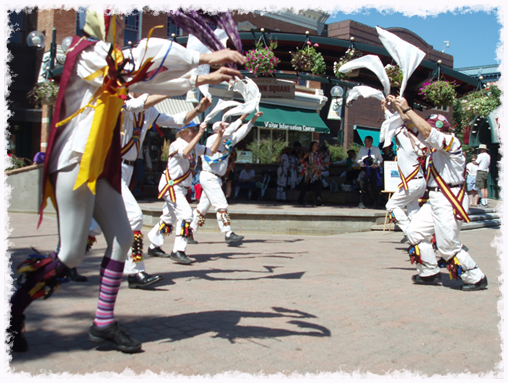 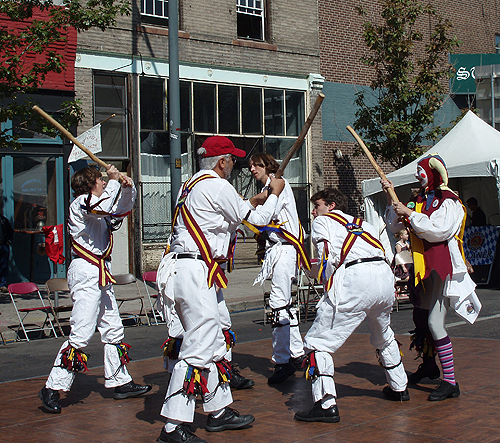 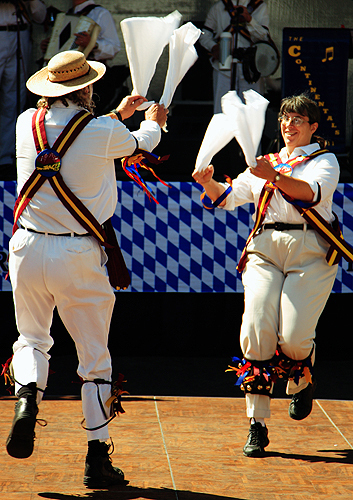 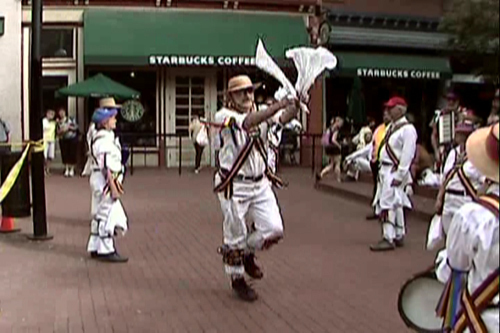 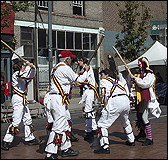 Each year, the group dances at the Midwest Morris Ale, a gathering of Morris dancers on Memorial Day weekend.